Once upon a time there was a citadel, built to resist and to conquer. In the setting sun it was a thing of beauty, but once darkness fell it seemed a formidable prison of cold stone and shadows to get lost in. Visitors were duly warned by the weapon above the entrance illustrating a dragon on the back of a knight, swallowing a screaming man whole. But those brave ones who defied the scares and entered were greeted by one of the grandest courts in existence: one that inspired Leonardo da Vinci to intricately paint a whole ceiling, and a vast courtyard that captured the last, dancing rays of the sun. 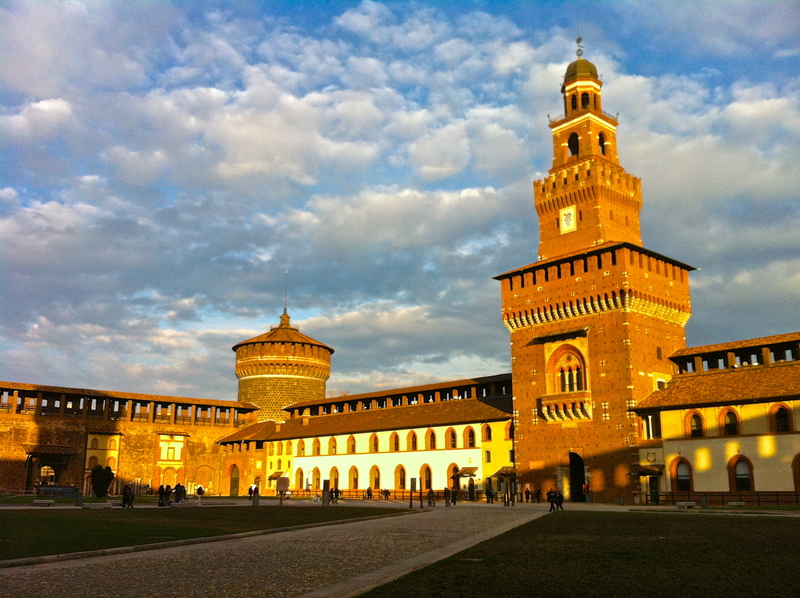 Categories: Travel | Tags: history, Italy, Milan | Permalink.